Good selection of trails, including some harder ones. Covers many of the classic Colorado trails. Black and white photos and limited maps. Accurate and informative at a good price. Good selection of trails, including some harder ones. Fills in a few of the gaps in the map left by the first book. Black and white photos and limited maps. Accurate and informative at a good price. Reasonably priced value for money guide to the Colorado backroads. Mainly easy, scenic drives suitable for stock vehicles. Regional guide to 25 of the classic trails in the Telluride region. 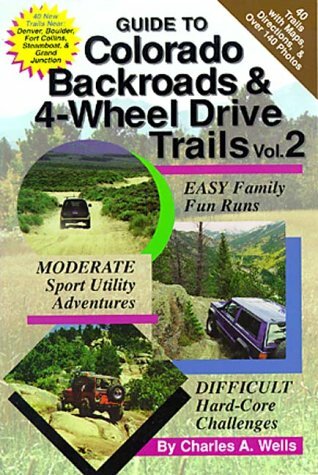 Trails are rated for difficulty, and includes a brief history of this spectacular off-road destination. Second in the series by this Colorado native. 24 trails around Aspen, Leadville, Crested Butte, Redcliff, and Marble. Trails are rated for difficulty, and includes a brief history of this ex-mining region. Falcon Guide. A selection of 30 drives, suitable for passenger vehicles, traveling on two lane roads to some of the highlights of the state. Maps and photos accompany the text. A seven day, circular tour of Colorado, starting and finishing in Denver. The suggested itineary passes breathtaking mountain scenery, historic features and tourist attractions. 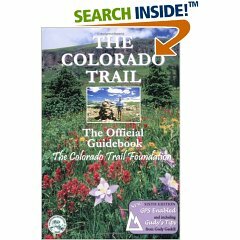 Colorado facts and information for the first-time visitor. Popular Delorme map book covering the entire state. Surprisingly detailed on the backroads, a good standby when more detailed maps are not available, it shows many of the backroads and trails. 5th edition of this popular guidebook. Covers front range cities, outdoor attractions, history and lodging. Well organized and laid out. Text heavy-no photos-but jam packed with useful information. Our recommendation for the best all-round guide to the state. Your Guide to Colorado's Historic Mining Camps and Ghost Towns. History and pictorial guide to many of Colorado's unique ghost towns. 90 of the states ghost towns, divided into regions to make navigation easier. Historic and modern photos, anecdotes, history. 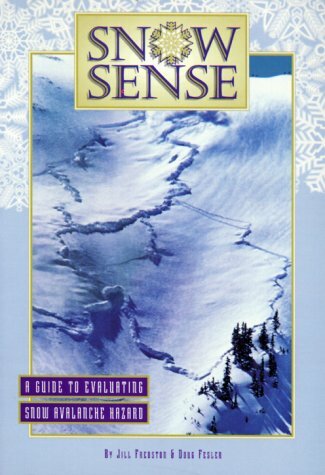 A must for planning a winter vacation in Colorado. 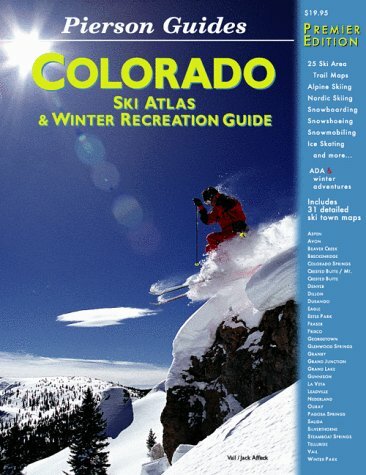 This new release, for the winter of 2003, features a state map section, information, facts, and trail maps for all the ski areas, points of interest and contact information. Spiral bound. The Official Guide to America's Largest Backcountry Ski Hut System. Excellent guide to one of Colorado's most famous backcountry hut systems, connecting 20 huts and 350 miles of trail. Trip planning, contact information, coordinates, trail descriptions, maps and guidelines. 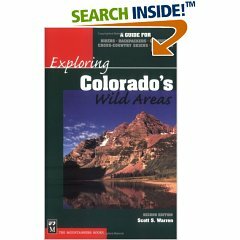 Must have guide for anyone who ventures into the Colorado backcountry. Understand how avalanches happen, learn to read weather and snow conditions. Easy to read, informative and the information it provides could save your life. 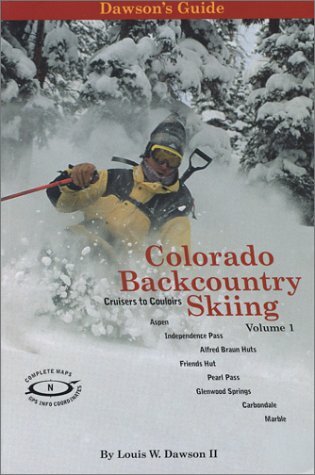 Classic guide to Colorado's back country skiing and snowboarding. Centered around Aspen, it covers classic routes around Independence Pass, the Elk Mountains and the Fryingpan River Drainage. Useful to both novice and expert backcountry skiers. The bible on mountaineering northern Colorado's highest peaks. Information on snow climbs, technical routes, ski descents, and classic hikes. Detailed descriptions and photos. The bible on mountaineering Colorado's highest peaks to the south of Pikes Peak. Information on snow climbs, technical routes, ski descents, and classic hikes. Detailed descriptions and photos. A clear and accurate guide to the 55 peaks - easy walks to technical climbs. Over 197 routes detailed, giving round trip mileage and difficulty, as well as what to expect for trail conditions. Excellent color photos and accurate, concise trail descriptions. Printed on good quality paper. A must have hiking book, which covers the entire state, including the often neglected eastern prairies. Comprehensive guide to the wilderness areas of the state. Lists several hikes of varying lengths in each area, with good descriptions and photos. Suitable for dayhikers and backpackers. Designed for every non-motorized recreationalist, the book details recreation opportunities in all of Colorado's wilderness areas. Whether hiking, backpacking, horse riding or cycling the Colorado Trail and sidetrails, this is your book. Full color maps with GPS coordinates. Spring and summer Front Range hikes. Mainly easy in standard, concentrating on the wildflowers you can expect to see, and the best time of the year to see them. Ideal for short, day hikes out of Denver and other front range towns. A Guide to Campers Who Hate RVs, Concrete Slabs, and Loud Portable Stereos. Showcasing the best quiet campsites in the state, Molloy also lists the activities available at each site, and rates the campsites on a five star system. The 100 Best and All the Rest. Full details on the hundred best, with ratings for scenery, privacy, facilities. Lists alternatives for when these prime places are full. Suitable for tent or RV campers. Clear, concise and easy to read. Falcon guide to more than 400 campgrounds for tents and RVs in the state. Covers more ground than other books, listing many of the developed and popular campgrounds in the state.